Last year, we took a trip to Ohio and while we were there, visited Niagara Falls in New York. The trees were blooming around the park and falls, so I snapped a quick photo. 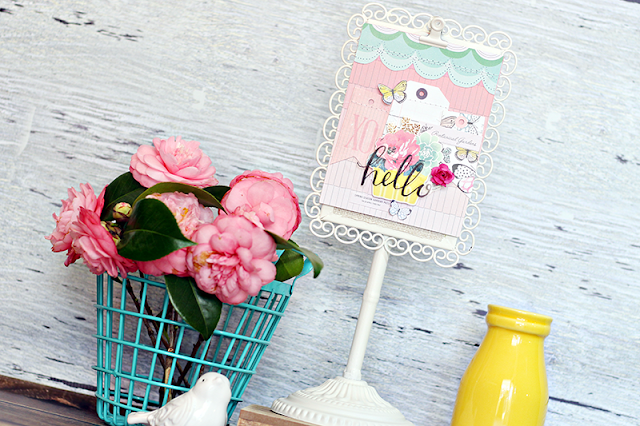 It was the perfect picture to use on my spring layout for Crate Paper! 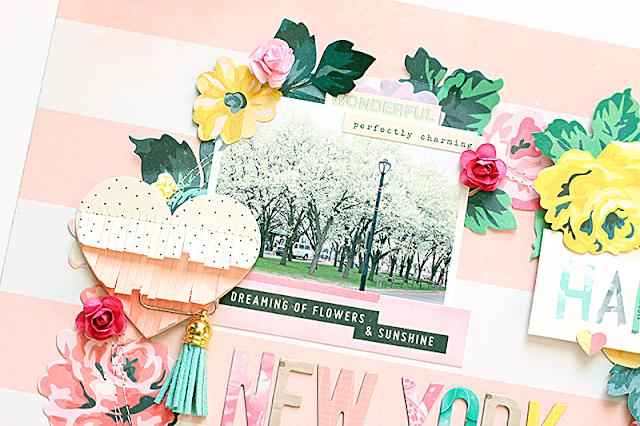 I also thought it would be fun to create a coordinating spring card, while I had out all of the pretty Bloom products from Maggie Holmes! 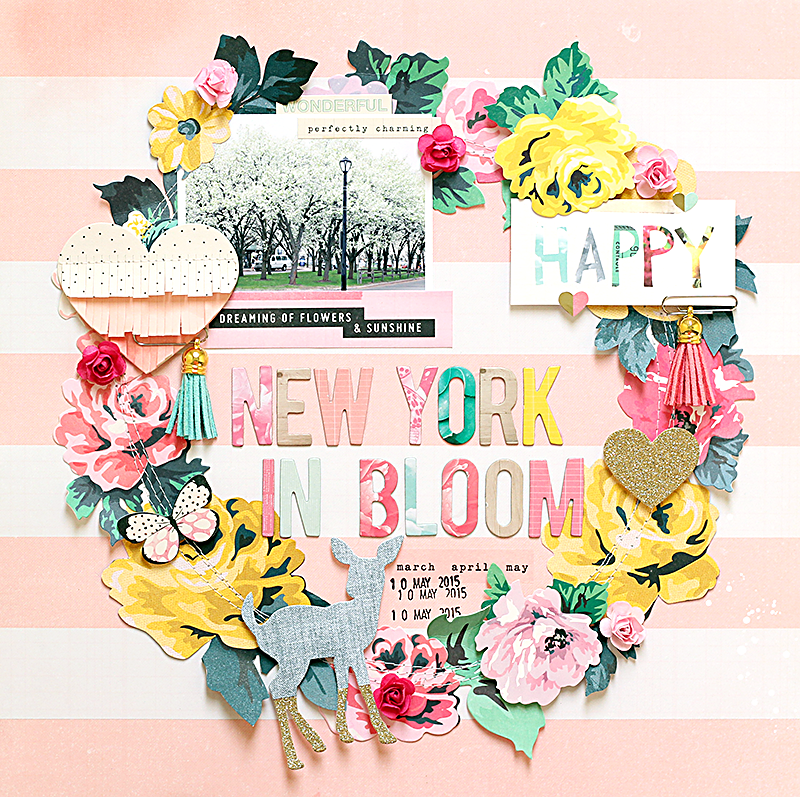 There are so many pretty flowers in the Bloom collection, and I decided to use them to create a wreath on my layout. I drew a large circle on the background paper using a Silhouette Sketch pen and then used it as a guide for placing my flowers. Most of the flowers are from the Bloom Ephemera Pack, but some were also fussy cut from patterned paper in the collection. Once I had the flowers in place, I machine stitched over them, to add more texture to the layout. I placed the photo at the top left of the layout, to leave a large space for my title. I used the Petals Thickers to add the title “New York in Bloom”, and the stripes on the background paper made it very easy to keep the letters straight. 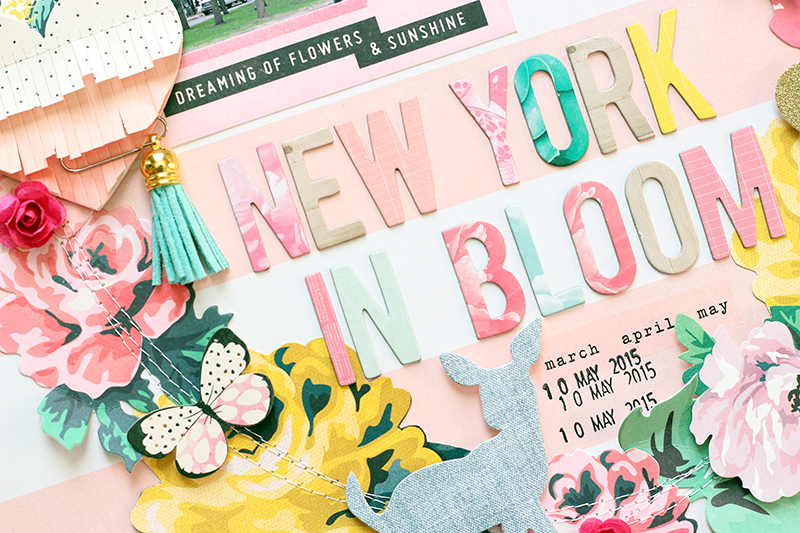 I finished the layout, by incorporating some other embellishments from the Bloom collection around the wreath. I love the dimension and texture from the Paper Flowers, Fringe Heart and Tassels. 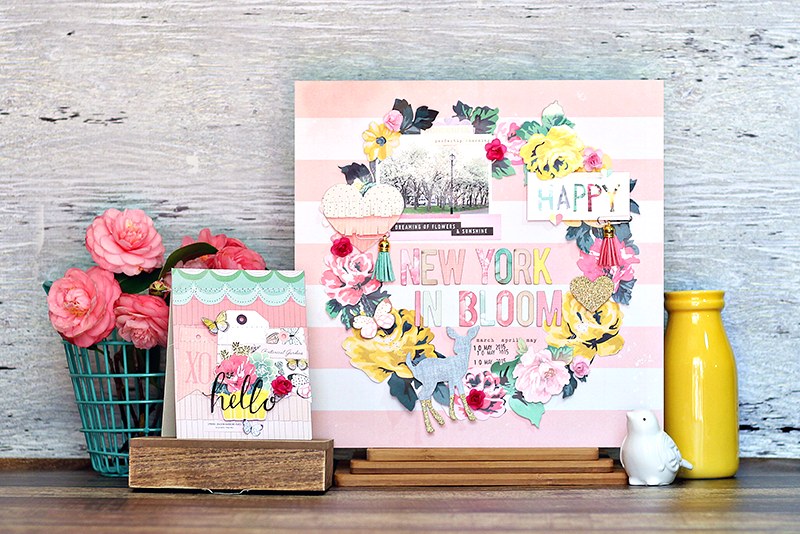 While I had the Bloom collection on my desk, I thought it would be fun to create a spring card also! 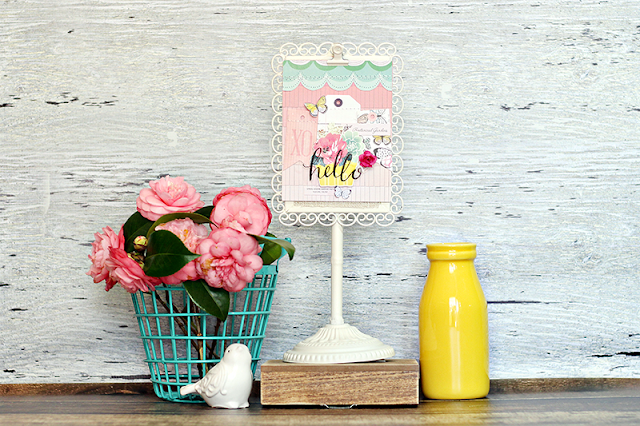 I used the Moments patterned paper from the 6x6 Paper Pad to cover the base of my card. Then I added three tag shapes to the front of the card, from the Ephemera Pack. Next, I added pop dots under one of the Accent Stickers, to add dimension to the card. I finished the card with a couple of fussy cut butterflies and a paper flower. 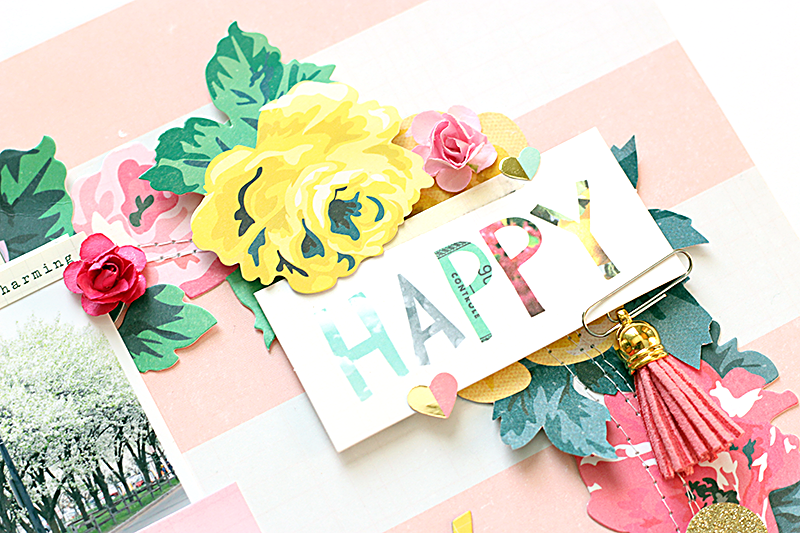 This was a quick and easy card, since I already had all of the supplies on hand, after working on the layout!